We are back after a very busy few days in Birmingham. 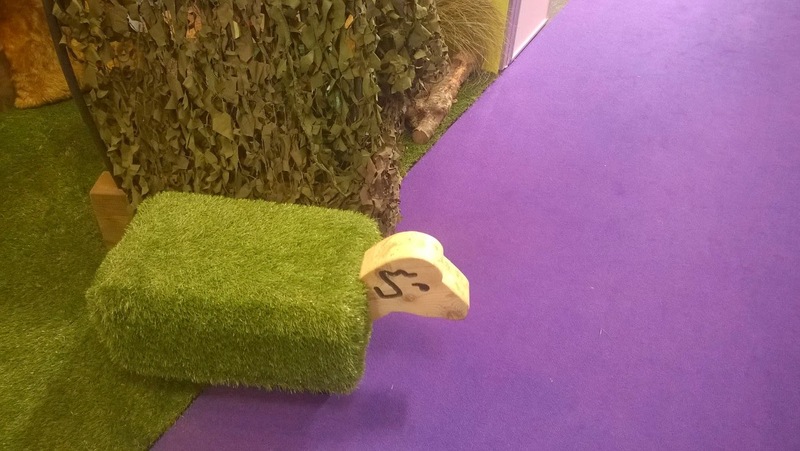 We were at the NEC for the Education Show 2014. 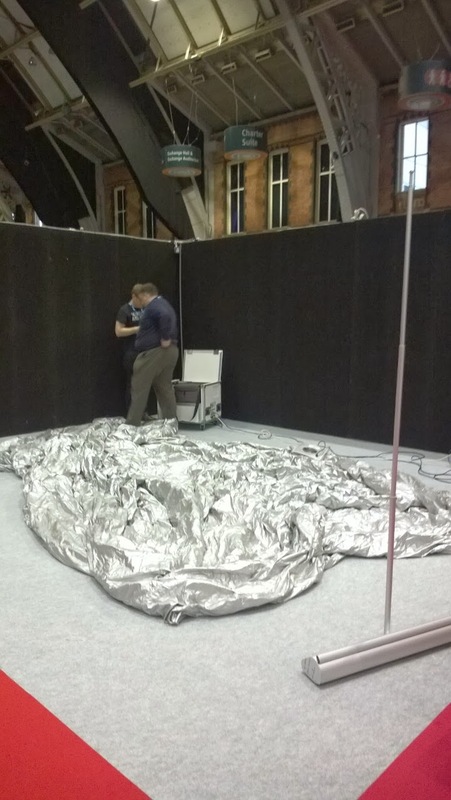 We travelled down there early Thursday morning and went straight into Exhibition Hall 3 to start setting up. Darren and Nathan have got it down to a fine art now - less than 30 minutes. 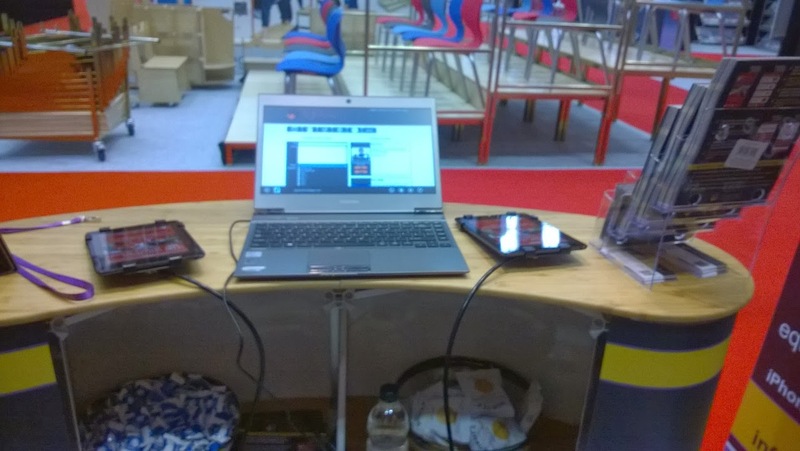 We had a slightly bigger stand than at Manchester - and were handily close to the café. That would mean lots of passing traffic! 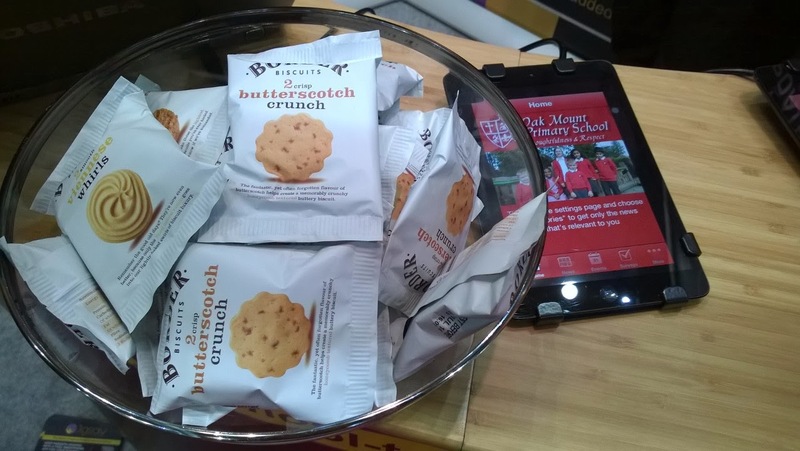 Plus our unique selling point - free biscuits went well with the coffees and teas coming past. A great way to start chatting to someone. We did stress that each pack of luxury Borders biscuits came with a free leaflet! The whole show was more colourful and fun than the previous ones. 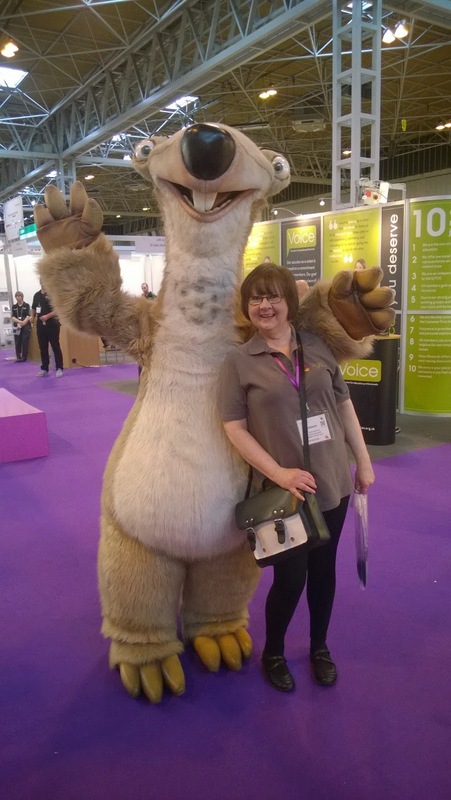 I don't know if there were more companies targeting primary schools but there were a lot of fun stands and lots of animals! Just hold out your hand...for the tarantula! Although Nathan and I couldn't resist the Harry Potter Studio Tour stand. 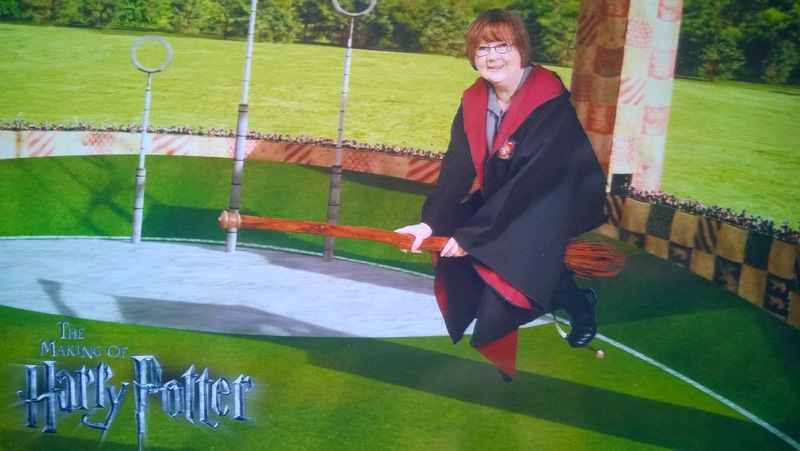 They had a green screen set up - with a broomstick in front of it. They let you don a cloak in the Hogwarts House of your choice and took your photo in front of the screen. 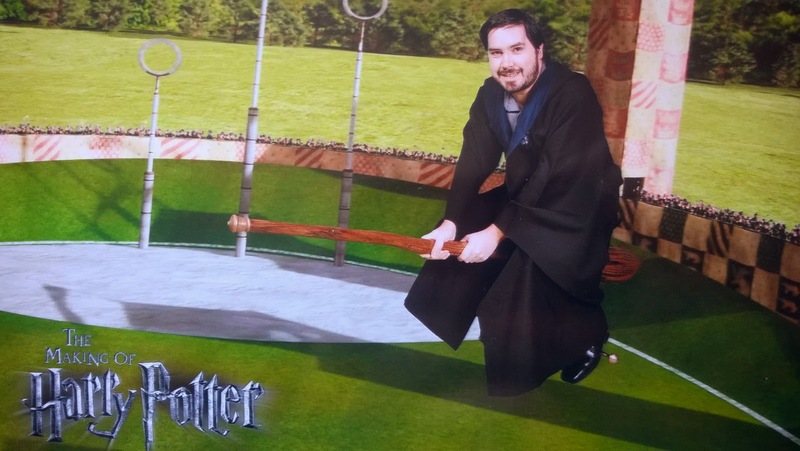 Then within a few minutes produced a glossy photos of you playing Quidditch! You can see out photos below - we really must go and check out the actual tour! 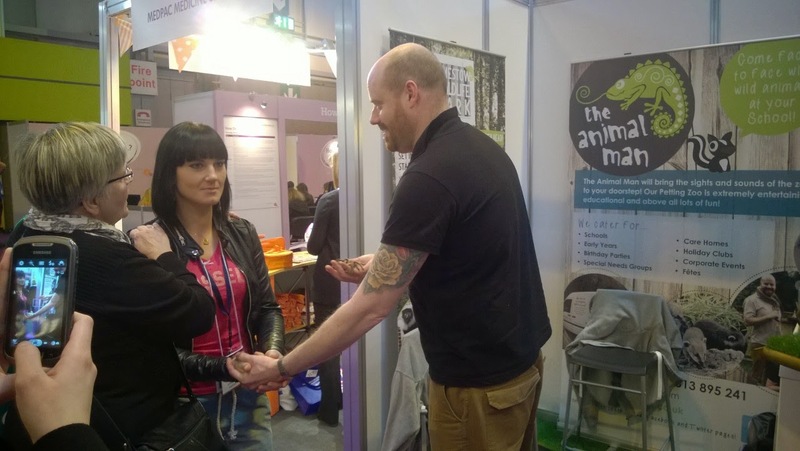 I got a bit overexcited on Thursday when I saw the famous scientist Professor Brian Cox walking by our stand. All I could think of to say to him was "Would you like a leaflet?" while holding one out to him. He said "No thank-you" as he swept past on his way to the central arena for his Q&A session on how to make science more exciting in schools. Unfortunately we were all far too busy on out stand to go along and listen to him. There were also lots of people there dressed in costume. There was a theatre group dressed in war uniforms, a Victorian lady selling costumes and some Shakespearean types selling comic (i.e. graphic novel-type versions)versions of his plays. 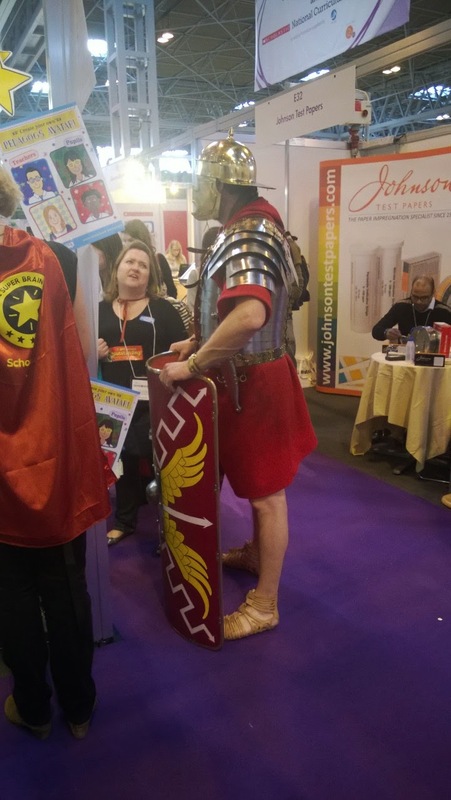 Also, a random Gladiator walking around - not sure where he was from! But it was all good fun. The neighbours were pretty friendly too. 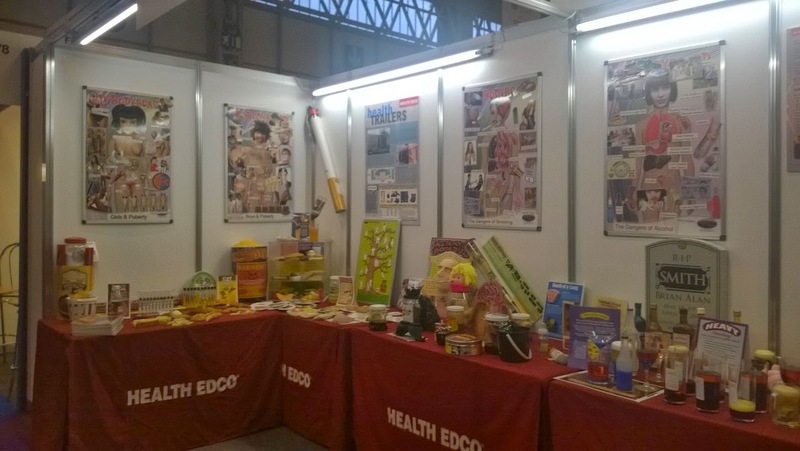 We had a health education stand opposite. They had a lot of very interesting exhibits - like a series of test tubes with the amount of sugar from various fizzy drinks. 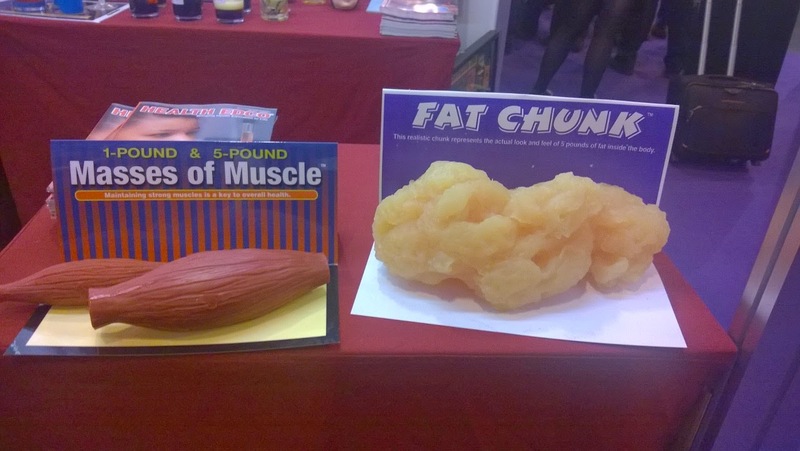 Also a lovely large chunk of body fat - right next to some lovely lean muscle. The funniest thing though was a pair of beer goggles - comedy glasses that simulated being drunk. The guys on the stand made visitors put them on and then try to walk in a straight line along the edge of the carpet. This resulted in a lot of hilarity as sober teaching types tried not to fall over in front of their giggling colleagues. 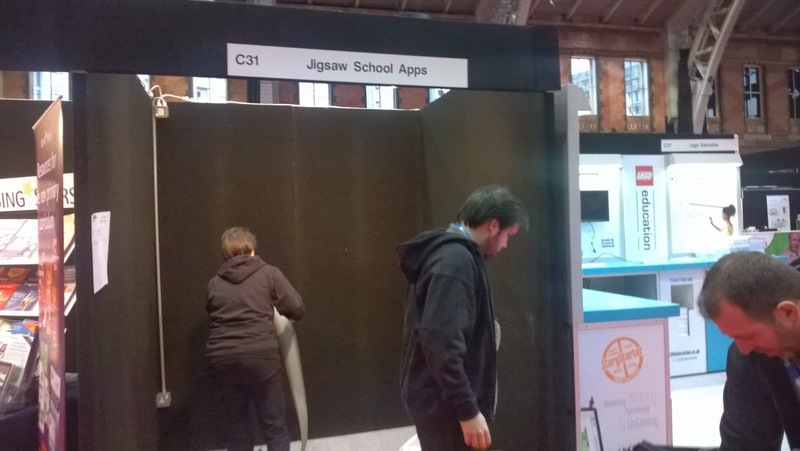 Of course - we all worked very hard too - we had lots of people interested in the school apps and Nathan and Darren did a lot of demos. Jo and I handed out leaflets and asked every passing person if they wanted a biscuit/mint/school app. We got lots of leads and now we are back the hard work begins as Darren contacts everyone who expressed an interest in having a free trial and Nathan makes the apps for them. We stayed at the Novotel at the airport - which was really close to the NEC and the station. It is really convenient having it at the NEC. Everything you need is there - including a Wetherspoon's for breakfast! Apparently Saturday was a really busy day - but sadly I wasn't able to have that day off work - so I came home on the train on Friday night all by myself. Luckily Jo and Darren's oldest son, Josh went down there to help out on the Saturday. I think he had a good time :-) Nathan said he actually held the tarantula - maybe it was a good thing I wasn't there to see that! I did meet a famous film star though - and had my photo taken with him. He didn't say a lot though! So, that is it for shows for a while. The next possible one could well be the Sunday Times Festival of Education in June. We've heard that it is held in a field and you have to go camping. I'm not sure about that! So, before that N and I are hoping to have a little break. Maybe pop over to Jersey for a few days in May. N has been there before - for work - but I never have. It looks gorgeous - so I am looking forward to that. It's quite exciting that this month sees the CUP Conference in London on 21st/22nd March. This year it is called The Management, Treatment & Future Perspectives of Cancer of Unknown Primary. It is an amazing achievement for the CUP Foundation to attract so many medical experts from all over the world. Let's hope it helps to bring accurate diagnosis of this baffling cancer closer. We need to know where our cancers started to make our treatment more targeted and effective. I am still at a loss to know what kind of cancer I had - even though I have been successfully treated by the wonderful UHNS. Reading the stories on the website - not everyone with this disease has been so lucky. It is only for medical professionals but I look forward to reading some of the presentations afterwards. It's great to know that people are getting together to share their practice and ideas. Hope it's a good one! 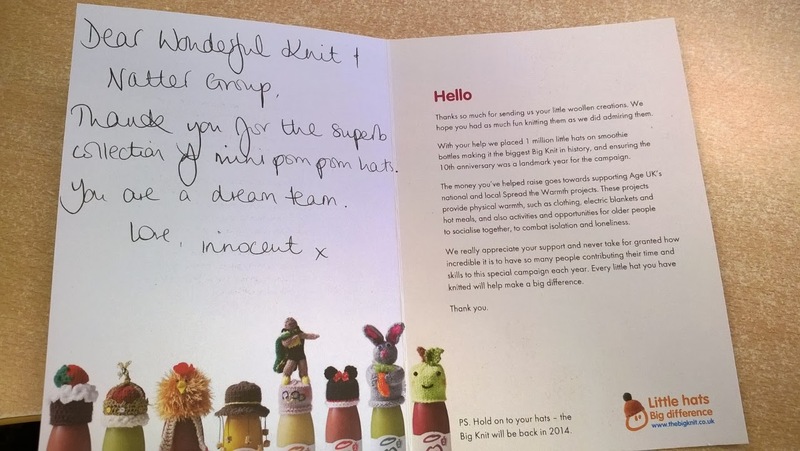 On that note - the Book Group is thinking of doing the Race for Life again this year. It will be in June - so if any lady wants to join us this time - let me know :-) I will be registering soon. It will be fun and the atmosphere is so wonderful. 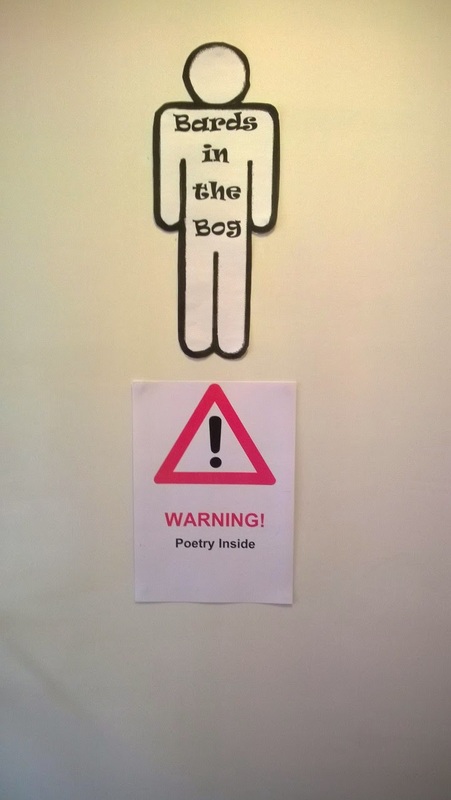 Had a fun week at work - mainly thanks to the poets of Keele. Their latest escapade ...I mean project... is Bards in the Bog. 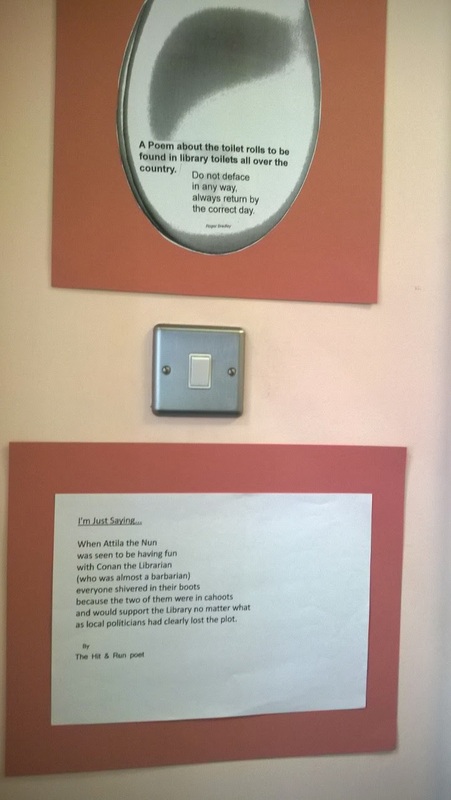 They wanted to put poems in the toilet in the library! Caroline gave them homework - to write some suitable material - then this week they presented me with the finished poems! So, I put them in the library's smallest room. 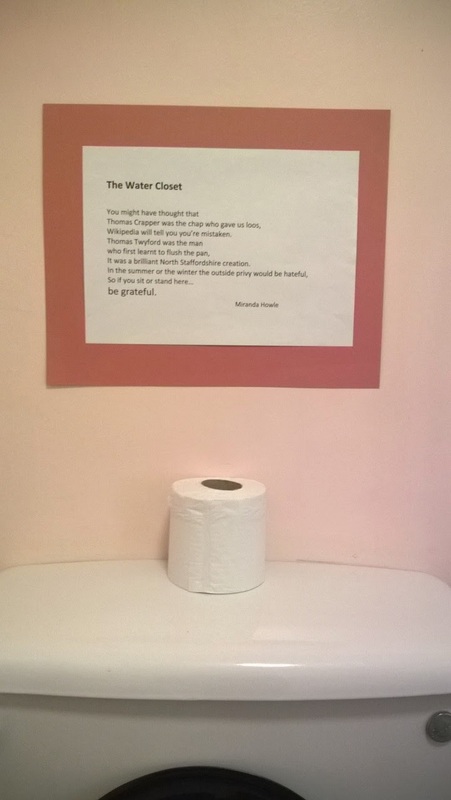 Something for customers to contemplate while they are using the facilities. :-) I came up with a sign to let people know. It will be interesting to see what the reaction of my library users will be! Even more exciting - Caroline has also arranged for Joy Winkler, the former Cheshire Poet Laureate to bring TOWN to Silverdale. It is a play/poem set to music and performed live. The link above shows a poster for a previous tour. I will link to our press release as soon as we have it ready! It will be on 12th May in the library at 7.30pm. The tickets will be on sale soon for £5 - refreshments included! It will be very exciting to have a live performance in the library. I am really looking forward to it! Let's hope we get lots of support from the community and beyond! 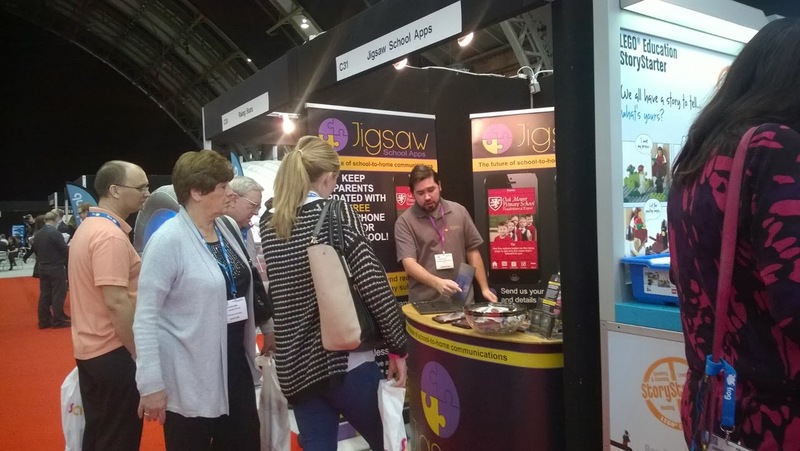 I have a short week at the library this week - as I am off to Education Show 2014 at the NEC in Birmingham on Thursday and Friday - with my Jigsaw School Apps Sales Executive hat on. Once again we are the stand (H83) with the free biscuits :-) So, we had a trip to Makro this weekend! 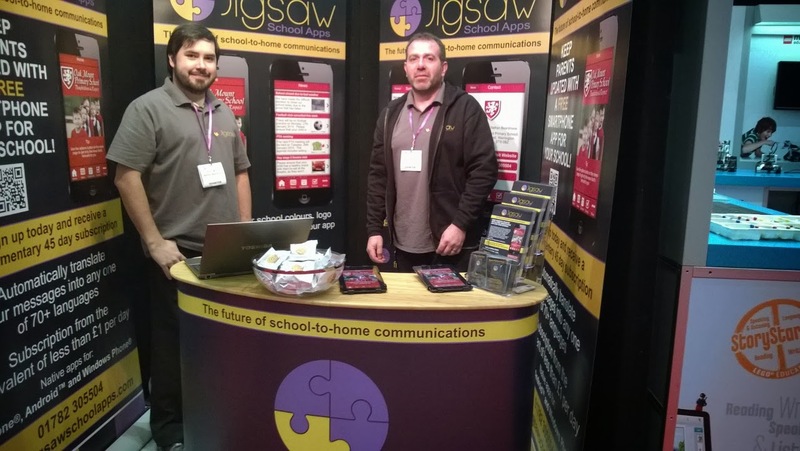 Find out more about what we get up to over at the Jigsaw School Apps blog. 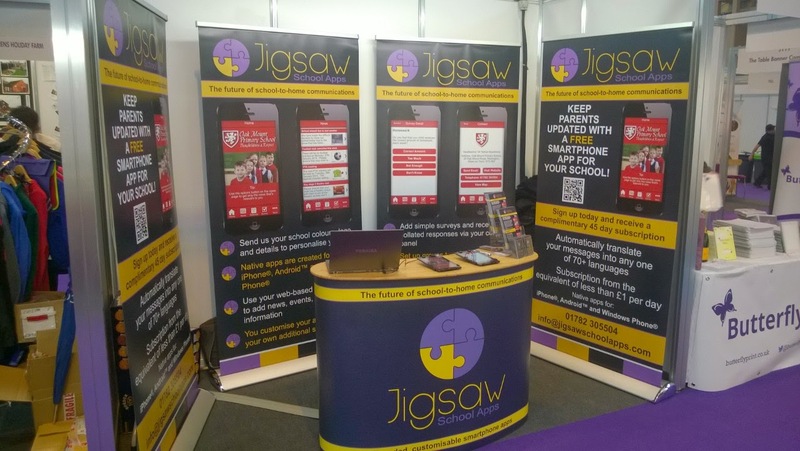 The thing is that I also write the blog for Jigsaw School Apps now - and we have been pretty busy with that recently with all the exhibitions and education shows. The next one is in Birmingham at the NEC on 20th-22nd March. Okay you've got 30 minutes - go!!! 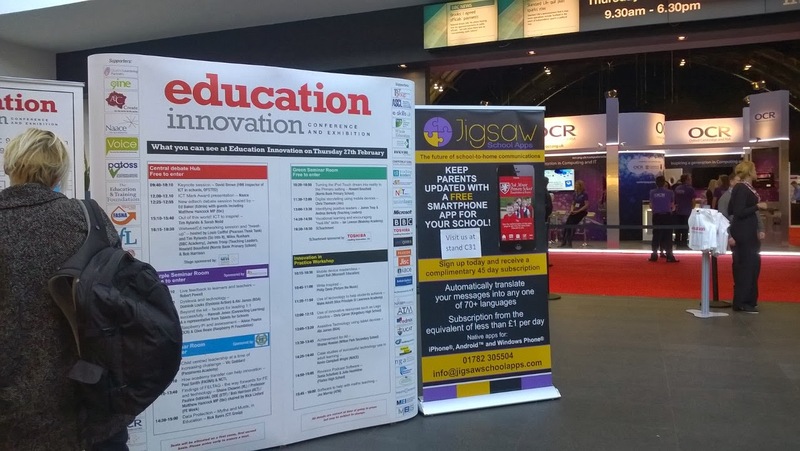 We had a good time at Manchester at Education Innovation. It wasn't so vast as BETT - so there were not as many people exhibiting. It wasn't as far to walk to get lunch either! It was really well organised and we managed to set up our stand in 30 minutes! It is a beautiful building inside - all windows and an enormous clock. It was nice to meet lots of people with Lancashire accents (it's where I was born!) There were not as many people who had come from overseas for this one. Nathan and Darren - ready! When Darren and Nathan spoke to the organisers - they allowed us to put one of our banners in the foyer - so that people would see it on their way in as they registered and picked up their badges. 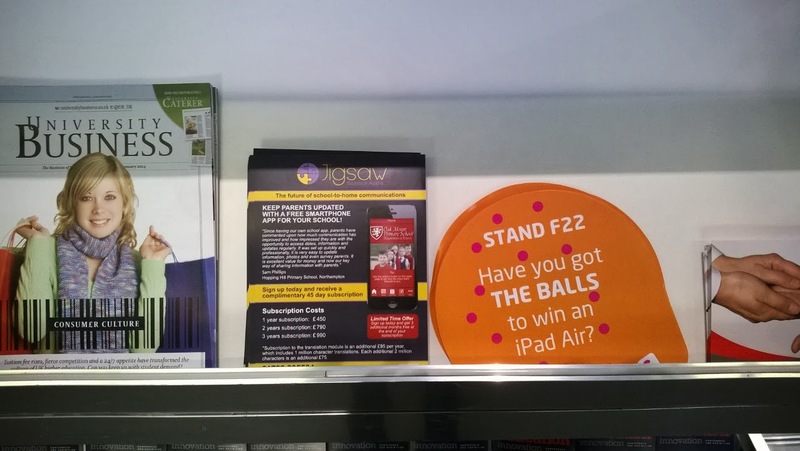 They also let us put our leaflets out there too. 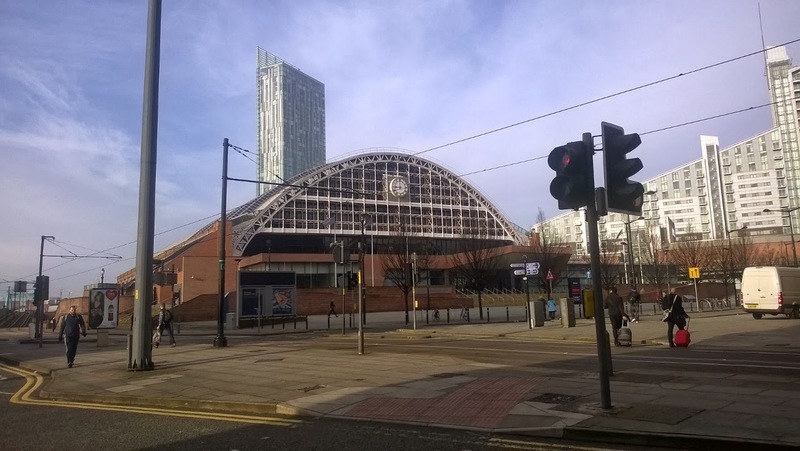 Manchester Central from the outside. We had very nice neighbours at the show too. The people across sold staging and seating for school halls. They also had some lovely book boxes and trolleys that would have looked very nice in my library :-) Shame we don't have the budget for them right now. It would have solved my problem of where to put kids picture books that are just too big for the kinder boxes we have them in now. View from inside the stand - looking out. We also had the amazing Pop-Up Classroom nearby too. 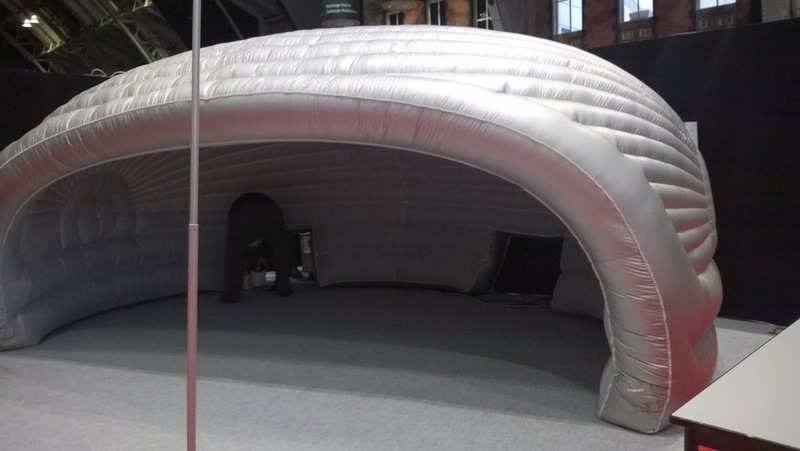 They arrived on the first morning and put a large deflated balloon-type object on the floor - and within minutes it blew up into an awesome classroom - complete with projectors that made the windows change from being underwater to being out in space or in the Grand Canyon! They looked really good - but it did cost around £17,000 for one! So, we have a couple of weeks respite - then we pack up the banners and biscuits again and head off to Birmingham! They are fun to do - but very tiring!! In health news - still no news from my scan - so I take that as good news - I think that they'll just give me the results at my next check-up at the beginning of April. I have been doing some overtime!! On my day off on Wednesday I went don to Stafford and worked in the Bibs department. There is a backlog of invoices - which is holding up everyone being able to put out their new books. So, it looks like I might be doing that for a few Wednesdays to come. Hopefully it won't take too long to catch up. Last Sunday N and I were lucky enough to be invited to N's friend Ian's daughter's baptism. 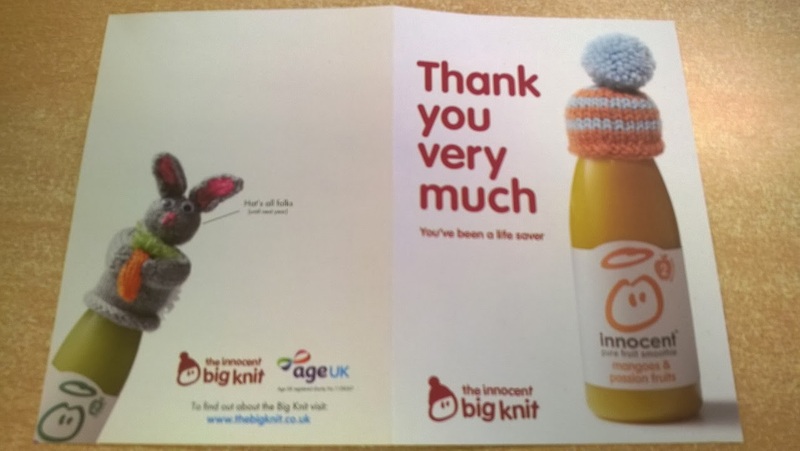 It took place at Wolstanton Methodist Chapel and it was really nice! I was very impressed how well it was organised - they have two big screens up at the front - so you don't have to get the hymn book out and find the right number - everything that is happening is put up on the screen. The service even include a "Drama" - when three of the congregation got up onto the altar and performed a short play - it was very funny and there was so much laughing going on! I am not used to that in a church (being catholic!!) Then after that - the minister was putting up messages in code and we had to decode them with the code sheet we had been handed when we came in! It was very entertaining! Baby Miriam Rebecca was very well behaved throughout! She looked a little dubious when the minister carried her down the church so that everyone could meet her - but she was fine once she was back with her mum! The party afterwards was at Hanchurch Village Hall - which wasn't far away. 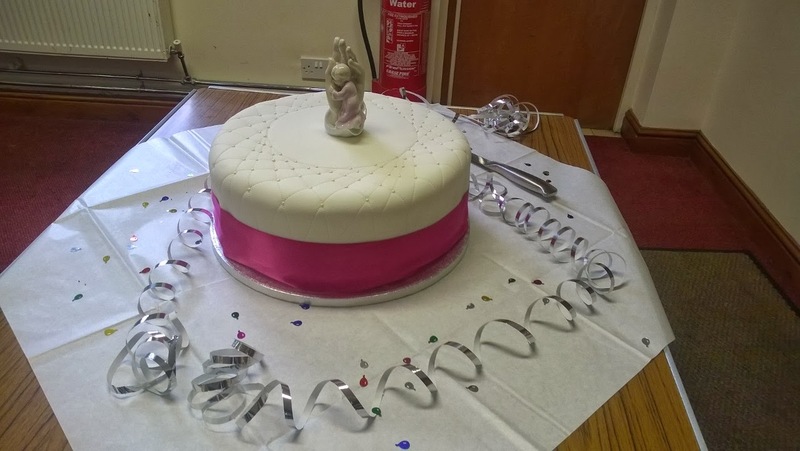 The cake looked amazing - made by Miriam's grandma. 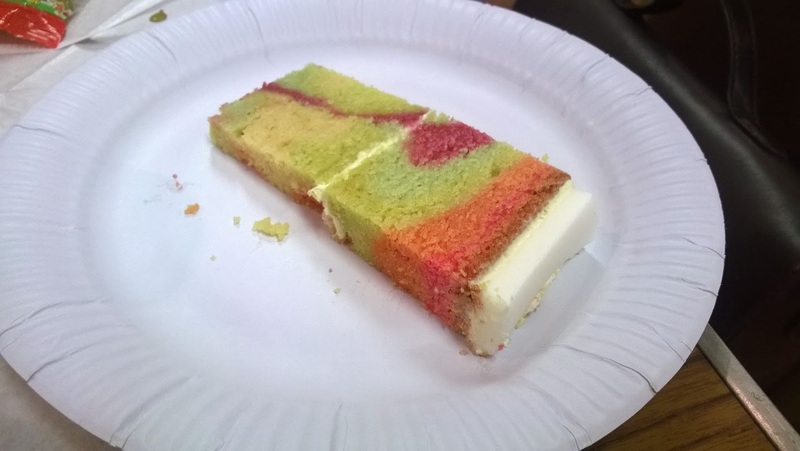 It was pure white outside - and rainbow coloured inside! Everyone was very impressed. Miriam fell asleep after a while - but we hope that she liked the book we bought her - a slip-cased edition of all Beatrix Potter's Tales.